Numerous pro-UFO books have been written on that certain, controversial incident which occurred on the Foster Ranch, New Mexico in early July 1947. It has become far better known as the Roswell UFO crash. Those aforementioned books include Roswell in the 21st Century by Kevin Randle, The Children of Roswell by Tom Carey and Don Schmitt, The Roswell Incident by Charles Berlitz and William Moore, and The UFO Crash at Roswell by Kevin Randle and Don Schmitt. As for the U.S. Air Force, it has now published two reports on Roswell – one in 1994 and the other in 1997. Neither report endorses the alien angle. The conclusion of the USAF, today, is that the Roswell wreckage came not from a weather-balloon, as was claimed back in July 1947, but from a huge “Mogul” balloon-array utilized to secretly monitor for Soviet atomic bomb tests in the latter part of the 1940s. As for the reports of alien bodies found at the crash site, it is the Air Force’s opinion that they were crash-test-dummies used in high-altitude parachute experiments. There is, however, another theory for what happened outside of Roswell in early July 1947. In some ways, it’s a theory that is more controversial than the idea that aliens crashed and died on the ranch. In June 2005, Simon & Schuster published one of the most controversial books I have written. 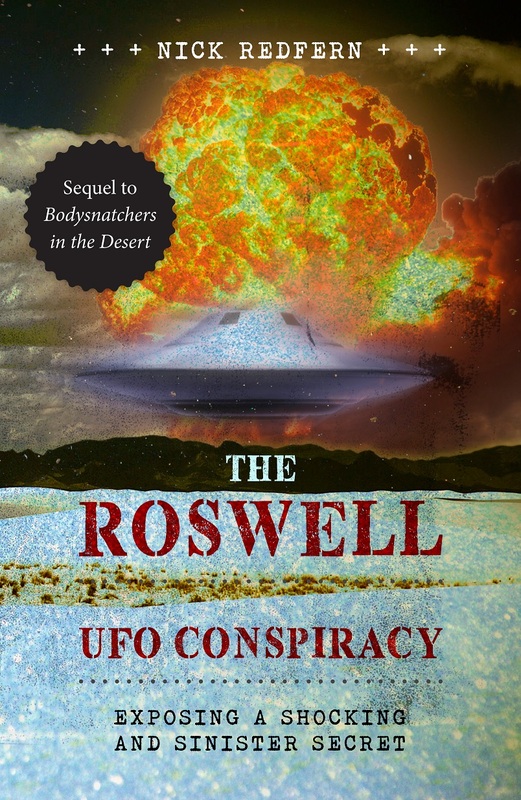 Its title: Body Snatchers in the Desert: The Horrible Truth at the Heart of the Roswell Story. It’s a book which suggested that what crashed outside of Roswell, New Mexico in early July 1947 was not an alien spacecraft, after all. Instead, it was one of a handful of definitively terrestrial vehicles which were secretly test-flown in various parts of New Mexico. And, all over the course of several, specific months in the year in which (a) the flying saucer was born, (b) the CIA was created, and (c) the passing of the National Security Act went ahead. We’re talking about 1947. The overwhelming secrecy surrounding the flights was due to the fact that certain controversy-filled pacts had secretly been put into place. They were designed to allow a large number of Axis scientists to avoid prosecution for their Second World War-era war-crimes. Instead, those scientists secretly went to work in New Mexico – and that included working on the craft that crashed to earth outside of Roswell, New Mexico and which led to the infamous legend of the UFO crash. Some of those craft were piloted. Others had human guinea pigs on board. They were strapped into gondolas and lifted high into the sky by huge balloon arrays, chiefly to further expand the scope of controversial work in the field of high-altitude exposure and early rocketry. In other words, had the truth of Roswell surfaced back then, the floodgates would almost certainly have opened wide, and a controversial treaty – with Axis scientists who had no qualms at all about using innocent people in nightmarish experiments – would have reared its ugly head. No one in officialdom wanted that to happen, so it was a case of burying the dark and disturbing truth of the diabolical human experimentation among a mass of tales of aliens from other worlds and flying saucers. Destroy all of the records. Deny everything that needs denying. Silence those who know too much. Create as many false leads as possible. Couldn’t be done? As I write these words in April 2017, I can say with confidence that that approach has worked all too well for the last seventy years. Despite the words of the naysayers, and those who hope and pray I am wrong, the fact is there exists a large body of material that strongly supports the “secret experiment” theory. Such was the controversial and incriminating nature of the files and the experiments, they were buried decades ago – and they remain buried. Or, maybe, as I have suggested, all of that same incriminating data has been relegated to the furnace and the shredder. But, that doesn’t prevent a case from being made. Although pro-UFO researchers and investigators make a big fuss about the discoveries on the Foster Ranch, they seldom highlight the fact that, prior to the events of early July 1947, rancher Mack Brazel found the remains of two weather balloons on the property. That is an important thing to note, as is this: there is no doubt that much of the material scooped up by Brazel was very balloon-like. And, we know that balloons had fallen on the ranch previously. Military balloons. Twice. If that doesn’t strike you as being notable, well, it sure as hell should. In light of all this, few can deny that military devices – of varying degrees of secrecy – were dropping from the skies over New Mexico, in the late 1940s. Let’s see what else is on the table. Twelve years after Body Snatchers was released, there is a sequel from me. Its title: The Roswell UFO Conspiracy: Exposing a Shocking and Sinister Secret. It’s coming very soon. As are startling revelations.